Did you pig out on mac and cheese and Patti LaBelle sweet potato pie on Thanksgiving? Well, don't worry. 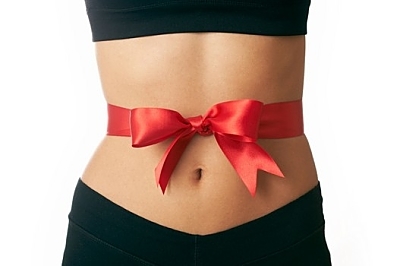 Before you are tempted to overindulge on Christmas Day, we have five holiday diet and fitness tips from Dr. Tremaine Young, a primary care physician and creator of TFT (Tension Fit Trainer), that will put you on the right track. 1. Count cookies: You are going to be social, but the key is minimize social eating in the name of the holiday season. That means put a cap on the holiday cookies and cups of egg nog. 2. Eat mindfully: Learn to eat when you are hungry vs. when you are bored or anxious. 3. Stay hydrated: Most times when we feel we are hungry, we are actually dehydrated. So carry a re-fillable bottle with you so you don't have an excuse not to drink more water. And if you don't like the taste of plain water, add a few slices of lemon, lime or strawberries for flavor. This is also an instant skin brightener! 4. Get some shut eye: Don't let the stress and pressure of the festive season ruin your rest. Always try to get 6 to 8 hours of sound sleep. 5. Eat more, work out less: Make health and fitness a lifestyle, and don't wait to hop on the New Year's resolution bandwagon. And always remember the 80% to 20% rule. Lasting results come 80% from what we feed ourselves, and 20% of our exercise regimen.